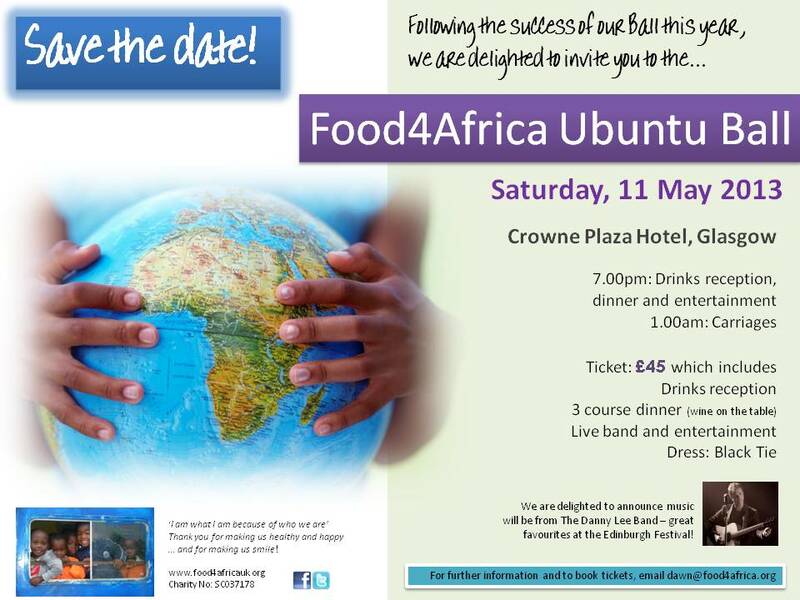 Just to let you know that tickets are now on sale for the Food4Africa Ubuntu Ball on 11 May! £45 will include a drinks reception, a three course dinner, wine on the tables and all entertainment. The Crowne Plaza is also offering rooms for the night – £85 per room up to two people sharing. It’s so easy to make a difference! It costs just 10p a day to feed a child.